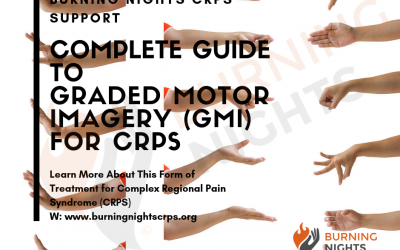 Complex Regional Pain Syndrome (CRPS) formerly Reflex Sympathetic Dystrophy, is a poorly understood condition which affects many people in the UK and across the globe. CRPS can cause a person to experience persistent, severe and debilitating pain. The condition may develop after an injury, surgery, stroke or heart attack, but the pain is out of proportion with the severity of the initial injury. The cause of CRPS isn’t clearly understood and CRPS awareness in the UK is low. However Burning Nights CRPS is a charity raising awareness and supporting individuals suffering with CRPS. Treatment for complex regional pain syndrome is most effective when started early. In such cases, improvement and even remission are possible. With low awareness and understanding of Complex Regional Pain Syndrome both globally and in the UK, it is vital that a Complex Regional Pain Syndrome support system is in place for those who suffer from this condition. 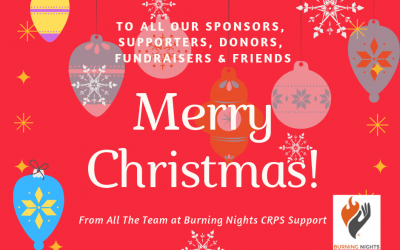 Burning Nights CRPS support is a CRPS charity and offer detailed information and RSD support for loved ones, carers, friends, families and sufferers. Throughout the site there is evidence-based information on causes, symptoms and treatments, as well as an outlet to speak about the difficulties of living with this condition through the forum on the site. This is an outlet for CRPS sufferers or carers throughout the UK to share their experiences and learn new methods of dealing with CRPS, or just to have a general chat. 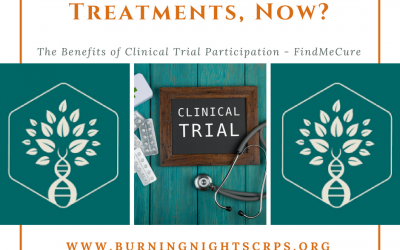 Burning Nights CRPS aims to improve the quality of life for sufferers, carers, families and friends. Increasing knowledge of Complex Regional Pain Syndrome on a global and national scale in the UK is a necessity. 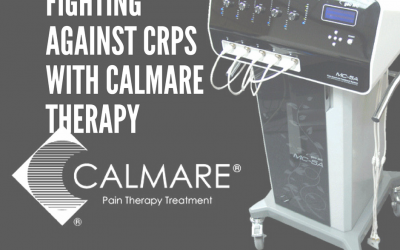 Through the products on offer on this site, awareness and support of CRPS/RSD can improve through increased visibility and information. 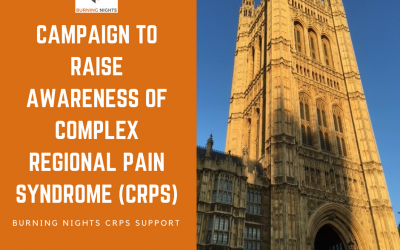 They are a fully registered UK CRPS charity (Charity Registration Number 1166522) specifically aimed at not only raising awareness of CRPS amongst the public and medical professions but also supporting all those affected by the condition. Burning Nights CRPS Support is proud to have been awarded ‘Charity Of The Year 2016’ by Aspire Magazine. Thank You to everyone for your support! The Founder was diagnosed with Complex Regional Pain Syndrome following an accident at work. Click the 'Learn More' button to read the whole story! Information, support, help and advice is all available within the website. Please click on the 'Read More' button below to guide you to the right information. We have a great Forum where you can visit and chat about the condition, disability issues or just general chat about anything other than CRPS! We have a small range of CRPS awareness and information items available to promote awareness of CRPS. Please watch out for any new CRPS awareness products in the future. Why not have a look and if you want to see some other CRPS awareness products, contact us with your suggestions! 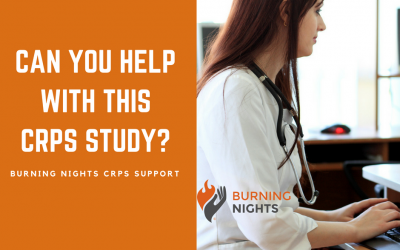 Can You Help With This CRPS Study? Can I put ice on my CRPS limb? I've only just been diagnosed with CRPS and my limb is burning mad and I want to put ice on it, but some people have said not to. I had an accident a while ago and I fell causing me a torn ligament. They tried to fix it but it resulted in CRPS. I have a wonderful family, am married but without kids. 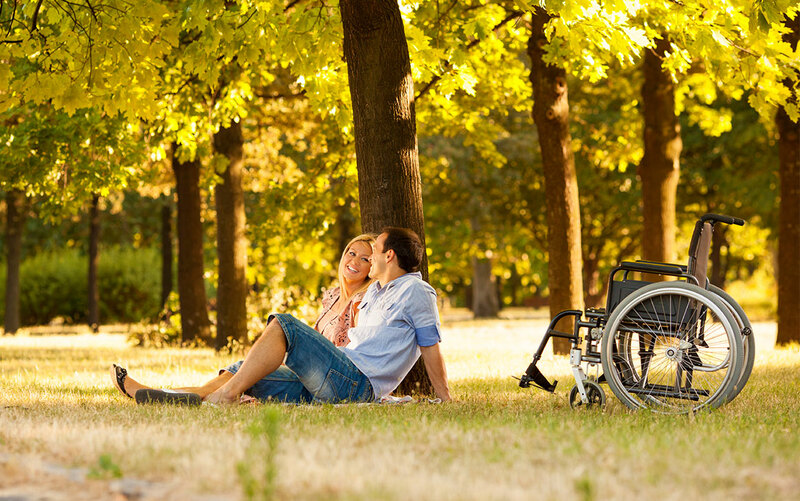 My husband is my main carer and yet I feel so alone and down all the time. People have told me that my CRPS won't spread but I've seen on the internet that it can do - who's right? NOVEMBER IS CRPS AWARENESS MONTH! November is generally known as CRPS Awareness month all around the world - please put it in all your diaries today:) So you are well prepared in advance of remembering it! Talk to friends and families and raising awareness for this debilitating condition. Why not purchase a pack of Awareness items in the Shop? 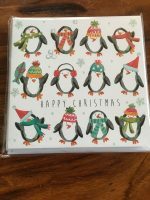 During this month I will be doing some special offers - so look out for them!